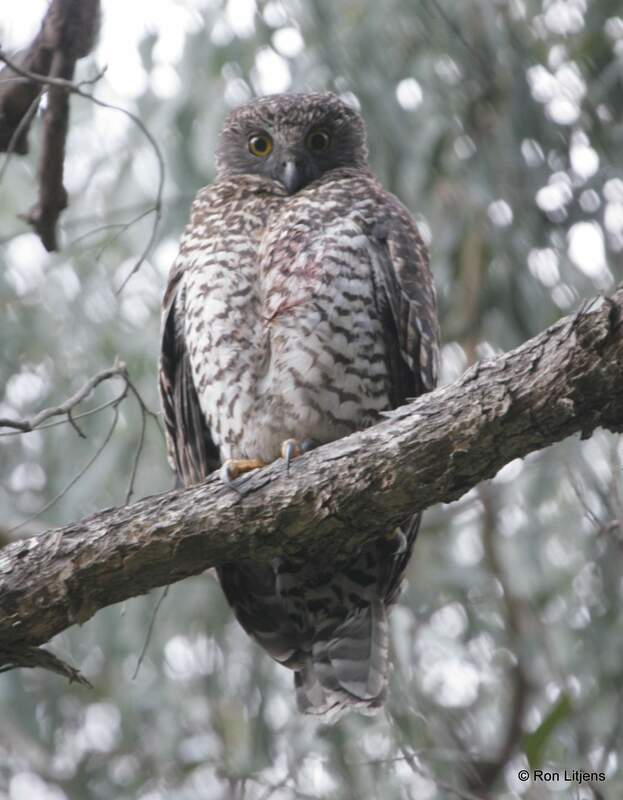 The Powerful Owl in a previous post, Talk about owls …! on March 29, has again been spotted, this time with a mate to share a meal of Ringtail Possum (whose partly eaten remains are visible below the male on the left). The photo was taken in almost the same spot as the previous observation. 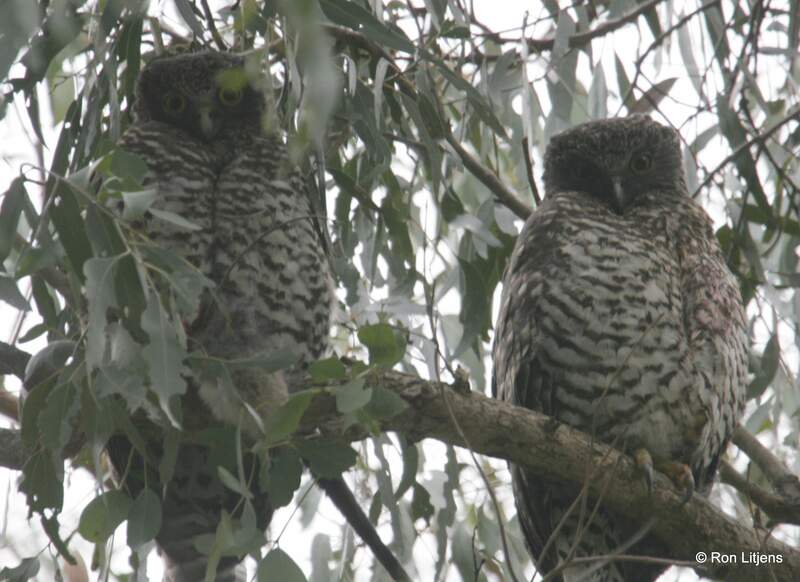 The owners of the Flowerdale property have been recording the location of roost trees (identified by “whitewash” and pellets on the ground), and trying, so far in vain, to find a nest site that the owls may be using. Because of the owl’s size, potential nest hollows are limited to large old trees. The smaller female owl flew off by herself to a nearby tree. The gory stains from her meal are visible on her breast feathers.